This unit was once our humble abode. A pre-loved, modern designed and spacious studio unit ideal for travelling couples who wishes to have a good nights rest. Woodcrest Residences is located in a cool, quiet and safe residential area. It is just within close proximity to everything you needed to do in Cebu City. It is just within close proximity to everything you needed to do in Cebu City. 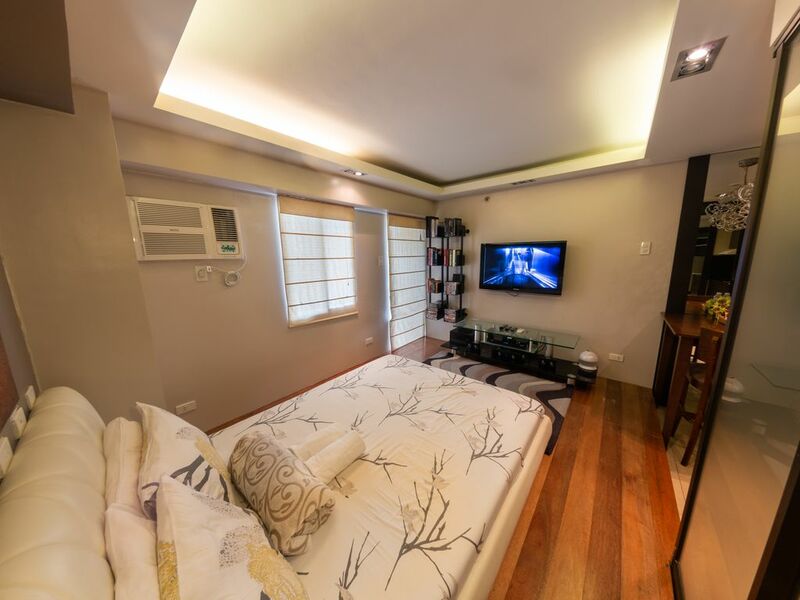 "Not too near the business district so guests can sleep soundly at night without being disturbed by the noise in the streets yet not too far as well as it is just 5 mins away from the Fuente Osmena (the heart of Cebu City) or 10 minutes away from Cebu Business Park. It is in a highly secured compound with round the clock security. Guests can have access to the club house, gym as well as the pool. Unit is complete with cooking amenities, Microwave, Ref, Shower Heater, DVDs, Cable with WIFI. It is also equipped with an Apple TV so you can watch Netflix or Youtube non-stop.